This report is consisted of three activities, joint cooperation between Universitas Atma Jaya Yogyakarta (UAJY), Universitas Pelita Harapan (UPH), University of Stuttgart, University of Kassel, supported by DAAD through Grant for Alumni Events. The committee has been also supported by The Ministry of Public Works of Republic of Indonesia and The Embassy of Federal Republic of Germany. 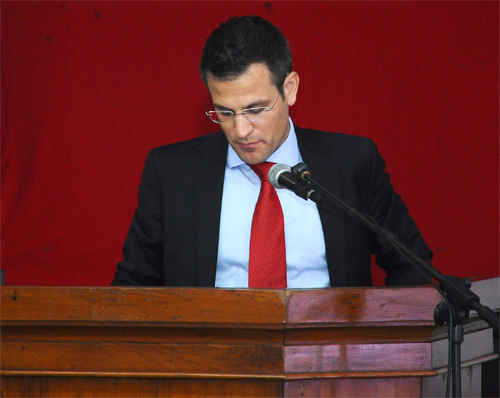 In September 2010, Prof. Dr.-Ing. 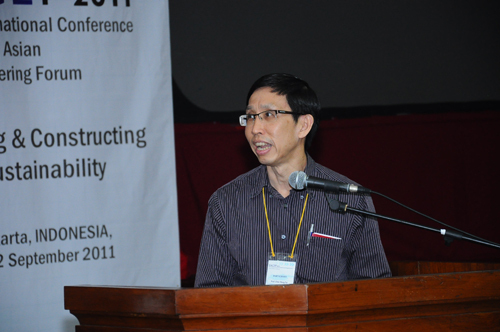 Harianto Hardjasaputra set up the International Scientific committee, chaired by Prof. Dr.-Ing. Michael Schmidt (University of Kassel). 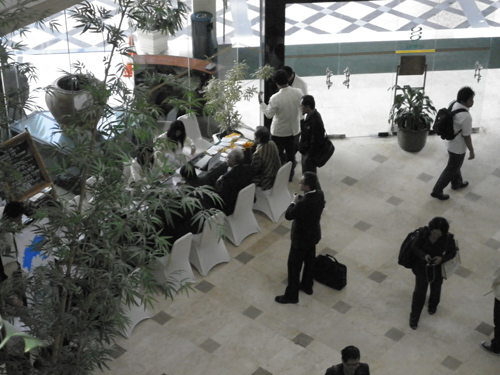 The member of ISC comes from the international universities in Europe, Asia, and Indonesia. They were assigned based on their expertise each to review the submitted abstracts & papers. 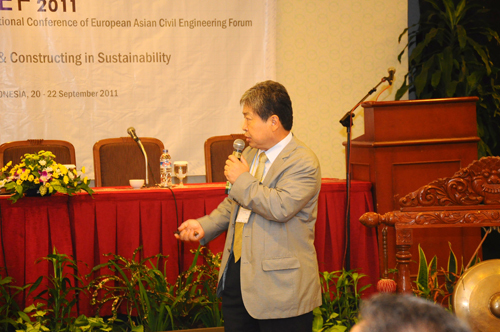 The civil engineering department of Universitas Atma Jaya Yogyakarta was the host of this conference. They set up the organizing committee, chaired by Ms. Ir. Anastasia Yunika M.Eng. The lecturers from both universities were involved in this committee. Treasurer : Sumiyati Gunawan, S.T., M.T. 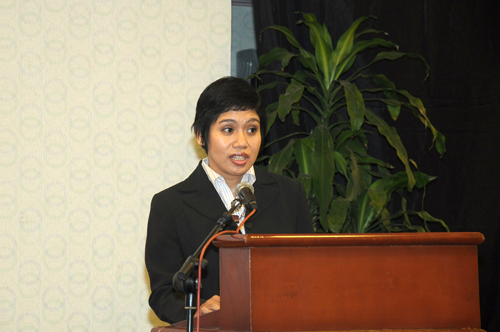 Vice Chairman 1 : Cilcia Kusumastuti, S.T., M.Eng. Sponsorship & Promotion/ Exhitibition : Ir. 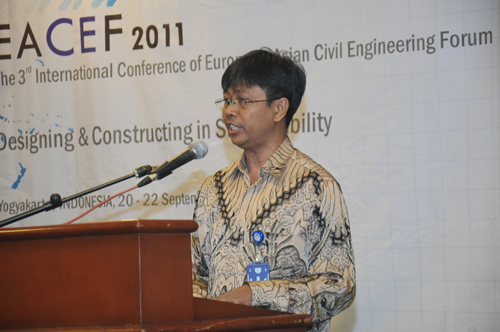 Hendra Suryadharma, M.T.Ir. Y. Lulie, M.T.Joey Tirtawijaya S.T., M.T. Registration : Cilcia Kusumastuti, S.T., M.Eng. Proceeding & Paper : Ferianto Raharjo, S.T., M.T.Siswadi, S.T., M.T.Dr. Ir. Wiryanto Dewobroto, M.T. Venue and equipment : Ir. Wiryawan Sarjono, M.T.Januar Sudjati, S.T., M.T. Vice Chairman 2 : Ir. 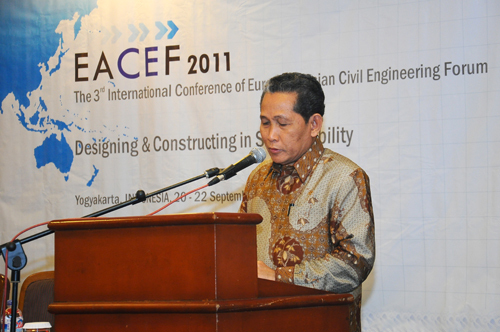 Junaedi Utomo, M.Eng. 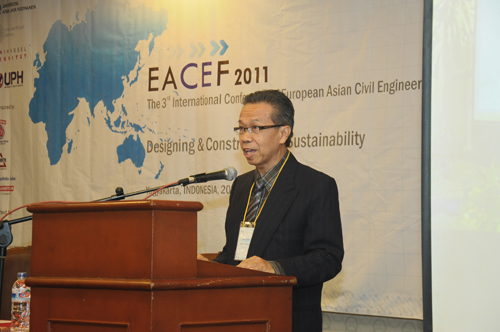 Program/ Master of Ceremony : Dr. Manlian Ronald A. Simanjuntak, S.T., M.T., D.Min. 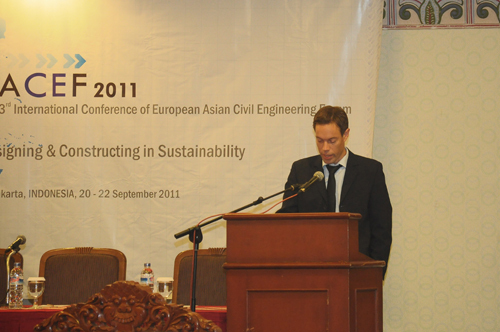 In December 2009 the OC announced the coming conference through flyer and website for call for papers. We launch the conference website www.eacef.com, equipped with on line registration, to ease the authors in registration and submission their scientific paper. The Organizing Committee published the accepted scientific papers in the form of Digital Proceeding and Printed Proceeding and also Program Book/Abstract. 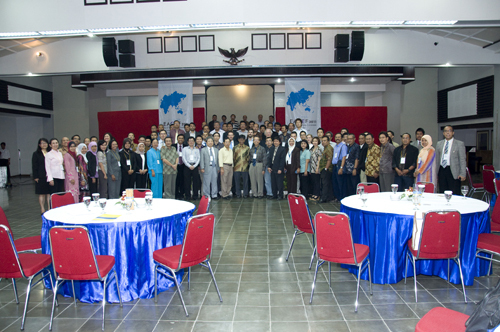 The two-day conference was closed with the Farewell Dinner, hosted by The Rector of Universitas Atma Jaya Yogyakarta. It was announced the best paper award and the host of the next conference. At the end of the conference, the Scientific Committee announced the Best Paper from each group. It was a great pleasure to see the idea of this conference – EACEF becoming reality due to hard work of many parties, especially also support from DAAD. 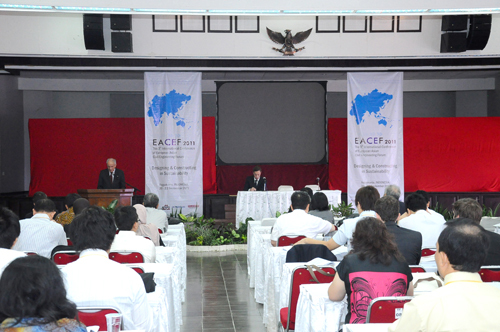 The presence of our distinguished guest Dr. Norbert Baas, the German Ambassador and giving keynote speech in the conference are signs for us, that our EACEF is expected to have significant contribution in facing global issues, opens a window of opportunity to strengthen ties between the Europe and the Asia region at a key time of fast global change. In his speech Dr. Buchholt gave his appreciation to Prof. Harianto Hardjasaputra and the organizing committee for taking the initiative and preparing this forum. We all know that it is a hard work to plan and conduct such an international conference, to raise the funds, plan the program, to invite speakers and participants and so on. He is convinced that all efforts will be rewarded by a lively, fruitful seminar and discussion. 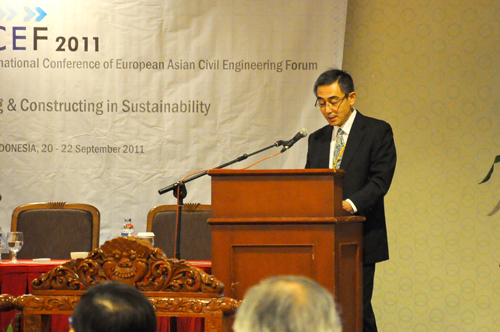 In his speech, Prof. Chan Weng Tat (NUS), the chairman of the organizing committee of the 4th EACEF 2011, said, that it is a great honor to be the host of the next conference. On behalf of his university NUS, he is humble to accept it. *According to Times Higher Education Ranking 2010, NUS is top ten the best universities in ASIA. As part of the conference program, on the third day September 22, 2011 all the participants were invited to join the technical visit. 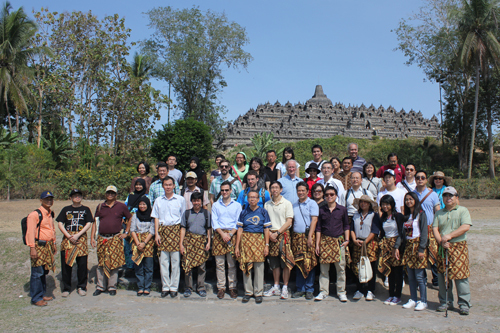 We visited the most famous temple around Yogyakarta, they are Borobudur Temple and Prambanan Temple. 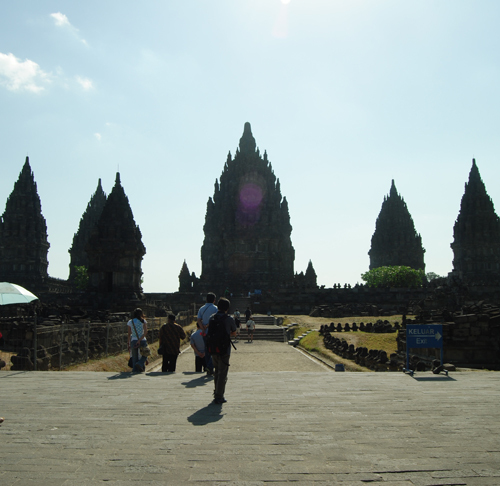 Both are recognize as Unesco World Heritage. 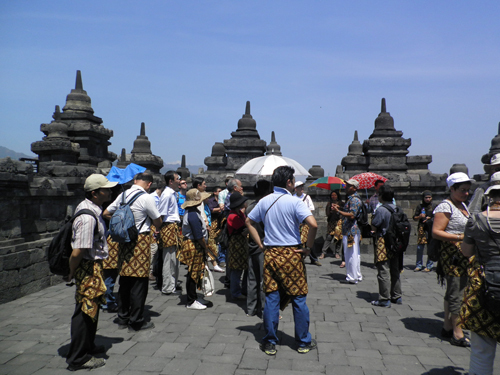 The participants were guided by the professional guide tour, who is able to explain the history and technical aspect both temples. 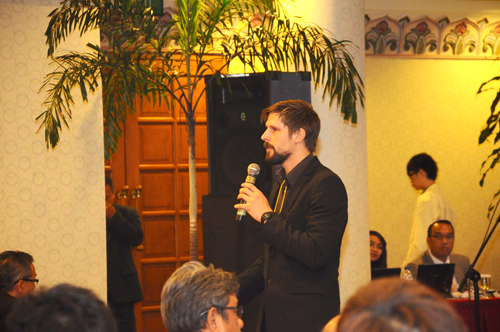 The German Alumni Night was conducted on September 20, 2007 at 7.00 pm after the first day of the conference. 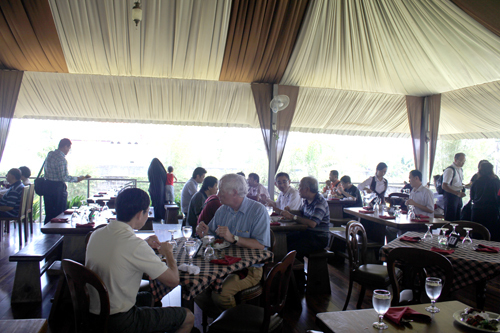 The committee invited German Alumni through e-mail, fax, and invitation card. service”, presented by Dipl. Ing. Suchjar Effendi (World University). 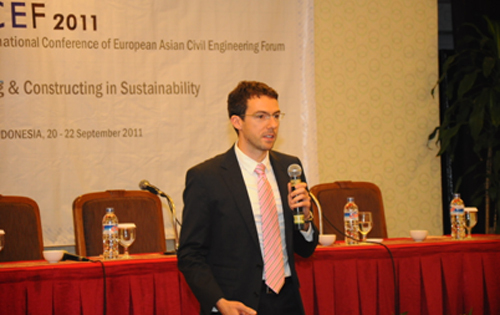 The seminar had great success, attended by more than 300 participants, students and professionals from Yogyakarta. The author thanks to all parties, who have contributed idea, time and hard works to make this conference happen and success. We should also express our special thanks to DAAD for great supporting of this conference and recognize it as German Alumni Activities in Indonesia. 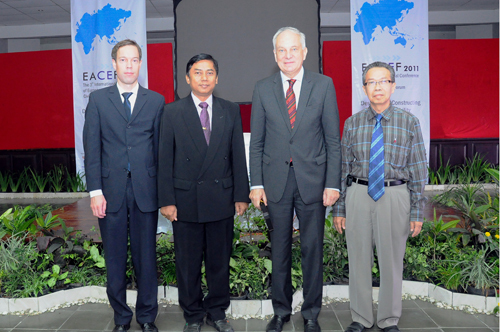 In line with the message of the Ambassador Dr. Baas, the founders and executive Director of EACEF (Harianto Hardjasaputra) do hope that the next international conference of 4th EACEF 2013 will be also recognized by DAAD as the activities of German Alumni Networking in ASEAN region.